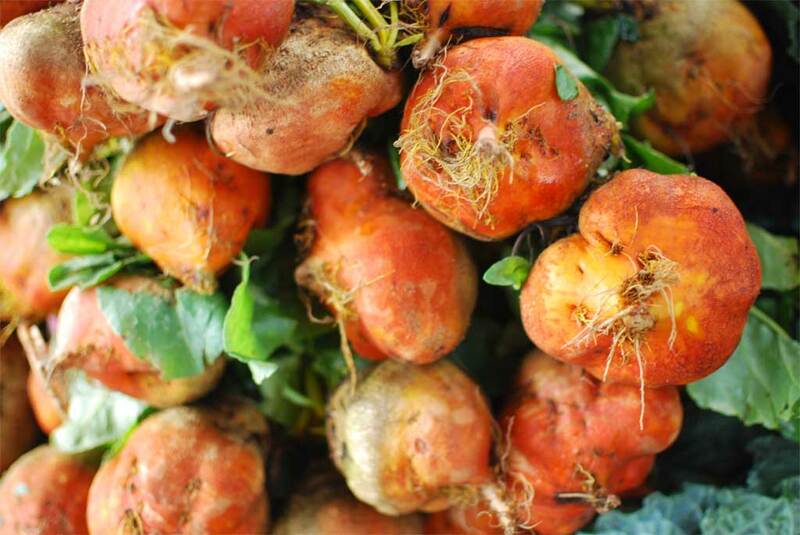 I know that summer doesn’t automatically make you think “beets!” but these golden beets were just so beautifully bumpy and colorful that I had to take a photo. Beets do make great salads, and the golden variety makes a striking presentation. I’ve been meaning to make this Mario Batali recipe in which beets are roasted with salt, then peeled and cut up and tossed with oil & vinegar.